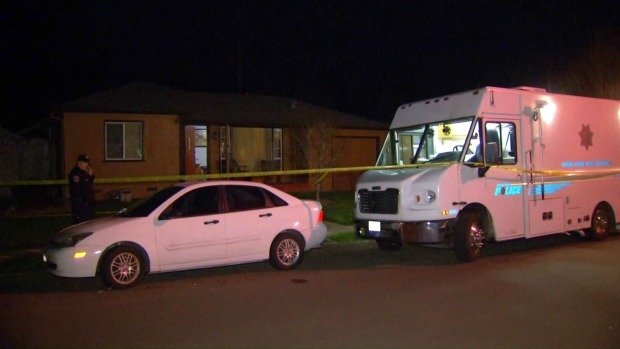 Police in Santa Rosa on Sunday identified the two people who were found dead inside of two separate homes as part of what police say are related homicides. Officers responding to a call about an injured person in the 2600 block of Valley Center Drive just before 11 a.m. found a deceased man, who was later identified as 57-year-old Dale Robert Carlson, in a home, police said. After examining the scene, homicide detectives were called in to investigate. 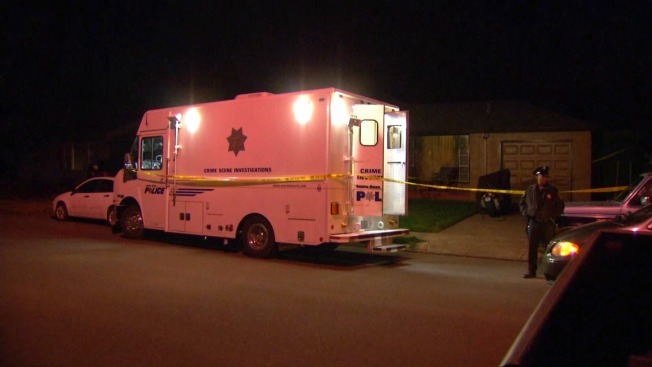 Police in Santa Rosa on Saturday commenced two apparently related homicide investigations after two bodies were found in separate homes. Christie Smith reports. Less than two hours later, a vehicle related to the death was found in the area of Glenbrook Avenue and Heather Drive, police said. A person at about the same time called police after finding a deceased woman, who was later identified as 37-year-old Jessica Noel Carlson, in a home located along the 1500 block of Glenbrook Avenue. Police said there appears to be a connection between the two discoveries. "The detectives have been able to establish that the two homicides are linked together," Lt. Mike Lazzarini from the Santa Rosa Police Department said Saturday night. "It appears there is a relationship, an extended relationship from a family standpoint linking both of those people together." Neighbors told NBC Bay Area that investigators on Friday were called out to one of the houses after a man with a hammer broke a car window and climbed on a roof. He was taken into custody on a drug-related charge and restraining order violation. Police believe the man may be a person of interest in the deaths. While police continue to put the pieces together, neighbor Bill Turner was still stunned hours after hearing about the two deaths. "It's heavy," he said Saturday. "It's very shocking, especially in this neighborhood."